Tablets are wonderful devices, aren’t they? You can do so much with your tablet – make calls, play games, listen to music and watch videos and use those wonderful apps – tablets are indeed wonderful devices. Tablets, along with smartphones, sell like hot cakes throughout the world. And why not? Tablets combine the functionality of laptops and smartphones and this is why people prefer these devices. As you look for that perfect tablet in various online stores, it is easy for you to fall prey to confusion. But read on and you will know what to look for. Why do you need a tablet for? While most of the tablets seem to have the same features, they indeed have different designs for different purposes. There are tablets that are for gamers; there are tablets for business; there are tablets for media consumption and there are tablets for kids. Decide what you want your tablet mostly for and make your choice accordingly. There are mainly three operating systems on which most tablets run – iOS, Android and Windows. iOS is Apple and everyone loves Apple. You owe an iOS tablet and everyone will sit up and notice. But if you are looking for more versatility, then Android is the platform for you. Android is also much more open than iOS and there are a lot more free stuffs. Windows has not gained the sort of popularity that Microsoft would have hoped for, but it has its positives – if you like the tile concept of Windows, then Windows tablets should delight you. Whichever OS you choose, opt for the latest version. Also see that your tablet will get upgraded when the OS version is upgraded. When you buy a tablet, you want that large screen for total entertainment. In tablets, the screen sizes range between 7 inches and 13 inches. The 7-inch tablets are more portable and can fit into the pockets of your trousers. The 13-inch tabs are the vanity products – they come packed with features and are a delight to show off. Apart from the screen size, the screen resolution also needs to be considered. 1080p is considered excellent resolution for tablets, although there are now tablets with higher resolution. The screen should also be sensitive enough to respond to your touch. Until recently, 512MB RAM was considered to be great, but not anymore. The latest games available on tablets are hard to ignore and none of the top games can be played on a tablet with 512MB RAM. You should ideally be looking at least 2GB RAM. For standard use, a tablet with 1 to 2 GB of RAM is good enough. Of course, the more the RAM, the better is the performance. There are tablets that only work on Wi-Fi and there are tablets that also have slots for a SIM card. The latter tablets can also be often used for making calls. However, they are also more expensive – you should look at these tablets if you intend to make all your calls using your tab. Storage – internal only or external too? There are tablets with only internal storage and there are tablets where you can add external storage. If you intend to load a lot of games and media in your tablet, the latter option augurs better for you. If you pack the internal storage too much, the performance of the tablet will suffer. Of course, you will look at the battery performance, an important criteria since you are expected to carry your tablet along with you. Another feature to consider is webcam – most of the tablets come with webcam anyway. Some of the tablets also have slots where you can connect a keypad or keyboard. If you need to type a lot, then this functionality helps. Which tablets for which use? iOS is one of the most wonderful operating systems and this makes the Apple iPad as one of the most cherished tablets. 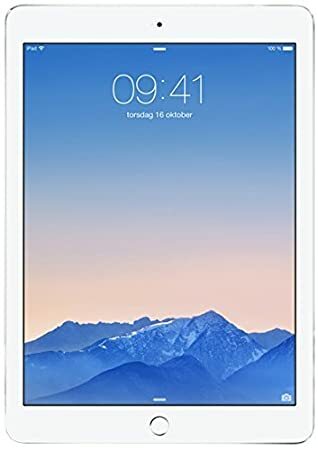 iPad also has several designs and versions and you may want to look at the models Apple iPad mini MD531LL/A (16GB, Wi-Fi, White / Silver), Apple iPad Air 2 64GB WiFi, Apple iPad Air 16GB WiFi, Apple iPad 2 16GB or Apple iPad Air 32GB WiFi. In terms of sales figures, no one can touch Android. Android OS is used by the top tablet manufacturing companies in the world and you get an immense range of products. Some of the top models to consider are Samsung Galaxy Tab A 9.7" WiFi 16GB, ASUS Zenpad Z380CX-A2-BK, Google Nexus 7 (2013) 16GB, Samsung Galaxy Tab 4 WiFi 7" 8GB and Samsung Galaxy Note Pro 12.2" WiFi 32GB. Don’t forget the Windows tablets – these are among the smartest products in this category. Some of the top selling Windows tablets are Microsoft Surface Pro 3 64GB Intel Atom X7-Z8700, ASUS Transformer Book T300CHI-DSM2T-CA, Acer Pentium N3540, HP 10 Plus 2201ca Tablet 16GB J6F06UA and Toshiba Tablet Encore 2 32GB.